Everyone has those days that never end. Aiden Bishop, however truly is doomed to repeat the same 24 hour period eight times, unless he can learn the truth of who killed Evelyn Hardcastle. Every day, Aiden wakes up in the body of another guest at the party, saddled with that guest’s talents, insecurities, and quirks. And every day, he must work to solve an unsolvable crime. If he cannot do so by the 8th day in the body of the 8th guest, he will have to begin once again from square one. Stuart Turton has created a dark world filled with complex characters who are often not what they seem. 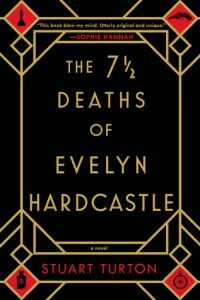 If the idea of the Bill Murray movie, Groundhog Day, as a psychological thriller filled with violence and set in the 19th century England appeals to you, you will want to rush to the shelves to get a copy of The 7 ½ Death of Evelyn Hardcastle. 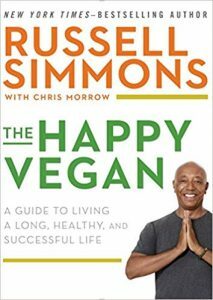 The audiobook, available both on Overdrive and Hoopla is particularly well done and read by James Cameron Stewart. I often do a fair amount of travelling to see family and my favorite thing to do while on a long drive is play a good mystery audiobook. I enjoy the pace of Agatha Christie’s Poirot novels and this book was able to satisfy my need for a pleasant mystery! We follow married couple Alvirah and Willy Meehan who are recently wealthy lottery winners on a luxury cruise. The Meehan’s investigate the mysterious death of a fellow passenger in possession of an emerald necklace that once belonged to Cleopatra. 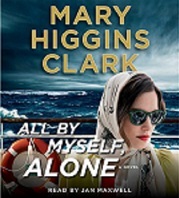 Clark tells the story with a fun ensemble of colorful characters including a Gemologist, Celia Kilbride, and Shakespeare Professor, Ted Cavanaugh. With the death of a passenger, a missing necklace, and a man overboard, this luxury liner turns out to be more excitement than the passengers were expecting! 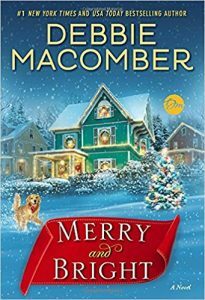 Merry Smith has family obligations to her brother with Down Syndrome, aging parents and her brother’s golden retriever. She struggles to keep up with her job with a consulting firm at the Boeing Company. She has no time for a social life but her mother and brother create a profile on an online dating service and she starts to accumulate many matches. When Merry begins chatting with a stranger online she discovers that they have similar interests. 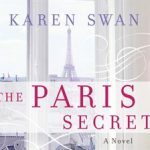 The chats soon become the best part of her day but she is reluctant to meet her mystery man. This holiday story will be the perfect way to brighten your spirits. Neil Gaiman’s works often reference mythologies (see American Gods, Anansi Boys, Sandman, The Ocean at the End of the Lane, and really almost anything else he’s written). In Norse Mythology, he turns his interest in mythology toward the Norse gods, but instead of creating a fictionalized world based on them, he retells the stories of Odin, Thor, Loki, and other gods and characters as we know them from the Prose Edda and the Poetic Edda. 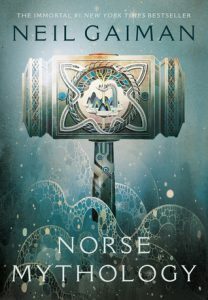 Gaiman uses his witty and engaging prose to tell the story of how the gods received their treasures (including Mjollnir – Thor’s hammer), Thor’s journey to the land of the giants, the death of Balder, and more. In his capable hands, the stories — which span from the creation of everything through Ragnorak, the end of the world — are accessible and engaging, often funny and sometimes sad. Anyone with even a passing interest in Norse mythology will enjoy this, and it’s even better in audio. Gaiman narrates the audiobook (as he does for so many of his other works) and brings an added passion and wit to the stories (and you get to hear the names pronounced, which is useful if you go back and read the printed book).